The pace of camera design, re-design, and release quickens. Lighter, smaller, faster, sooner. More K, more speed, better ergonomics, promising pictures. 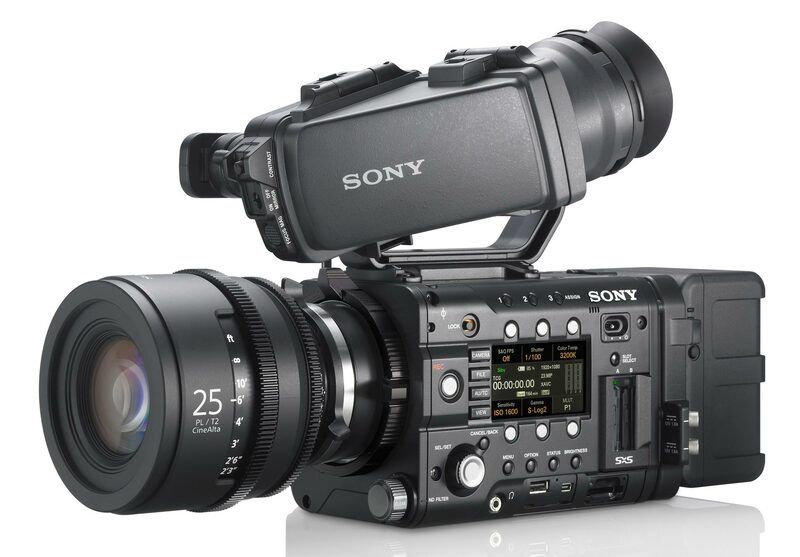 Today, Sony reveals their new F55 and F5 cameras. Expect to see prototypes shooting on locations near you. Working cameras ship in January 2013. 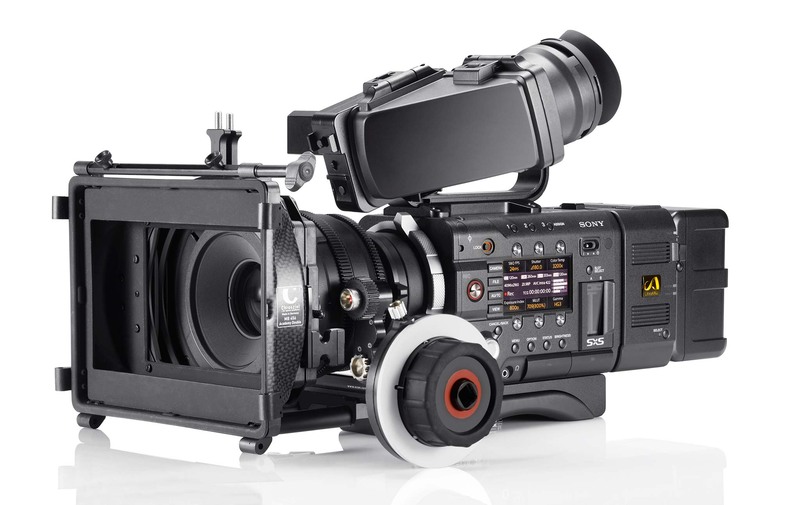 Some have called the F55 a companion to the F65, and the F5 an upgrade beyond F3. Many will call them Sony’s first comfortably shoulder-resting, modular, compact 4K cameras. Sony F5 (l) and F55 (r). You can tell them apart by their FZ mounts: F5 is black; F55 is silver. Modular (l-r): lens, PL to FZ mount adapter, Camera body, AXS-R RAW Recorder, battery. On top: finder, finder arm, handle. Get the F55 if you want to record 4K, 2K or HD internally to SxS Cards, shoot to 240 fps, have a global shutter, and want an F65 type of sensor design. Get the F5 if you want to save money, record 2K or HD internally to SxS Cards (but not 4K internally), shoot to 180 fps, skip the global shutter, and want an F3 type of sensor design. Both the F55 and F5 record 4K (and 2K) RAW onto a modular onboard AXS-R5 recorder that uses a new AXS Memory Card. Both cameras have a Super 35mm 4,096 x 2,160 single CMOS sensor (11.6M total photosites, 8.9M effective). I think it’s Super 35mm 3-perf format size, 24 x 12.7 mm, 27.1 mm diagonal. 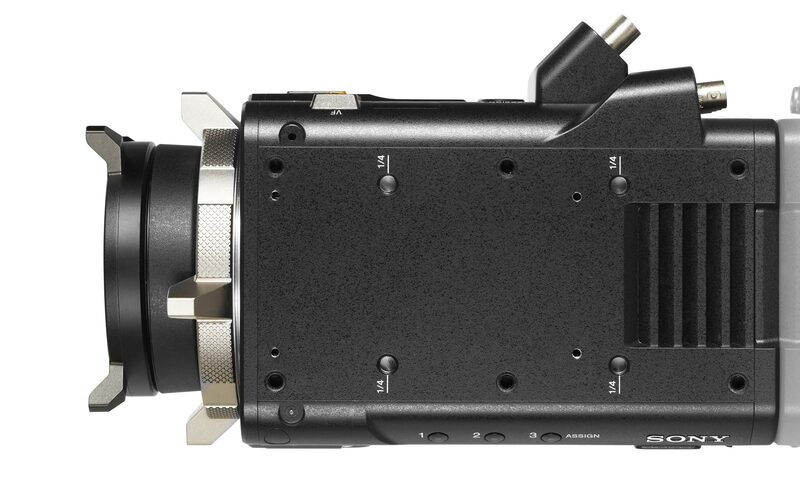 The F55 imager has a Bayer Pattern similar to the F65 and a “global shutter.” F5 has a Bayer Pattern similar to the F3. It does not have a global shutter. The cameras weigh about 4 lb 14 oz (body only), and measure 7 1/8 x 7 7/8 x 12 ¼ inches. They consume 12 V DC (11 V – 17 V) at about 25 W.
F55 is rated at ISO 1250. F5 is rated at 2000 ISO. Certainly, you can adjust ISO up or down from there. Exposure latitude is 14 stops. There are 3 behind-the-lens optical filters: clear, ND 0.9 (3 stops) and 1.8 (6 stops). Electronic shutter angle is variable from 4.2 – 360 degrees. Shutter speeds adjust from 1/24 – 1/6000 second. White balance choices are 3200, 4300, 5500K, Memorized, and ATW (Auto). There are 6 standard Gamma Curves and S-Log2 Gamma. I’m sure Philippe Ros and the crew at HDSystems are already busy building new ones. Sony engineers discussed goals of “establishing a 35mm line-up to cover applications from high budget to lower budget production.” It was described as a democratization of the format. Two months after IBC 2010, Alec officially introduced the PMW-F3 on the lofty 35th floor of Sony’s Madison Avenue headquarters in New York. “Affordable” was an understatement. The camera was priced around $16,000. One of the biggest attractions of the F3 was its very shallow flange focal depth (18 mm). That meant you could mount almost any lens on the planet using simple adapters . 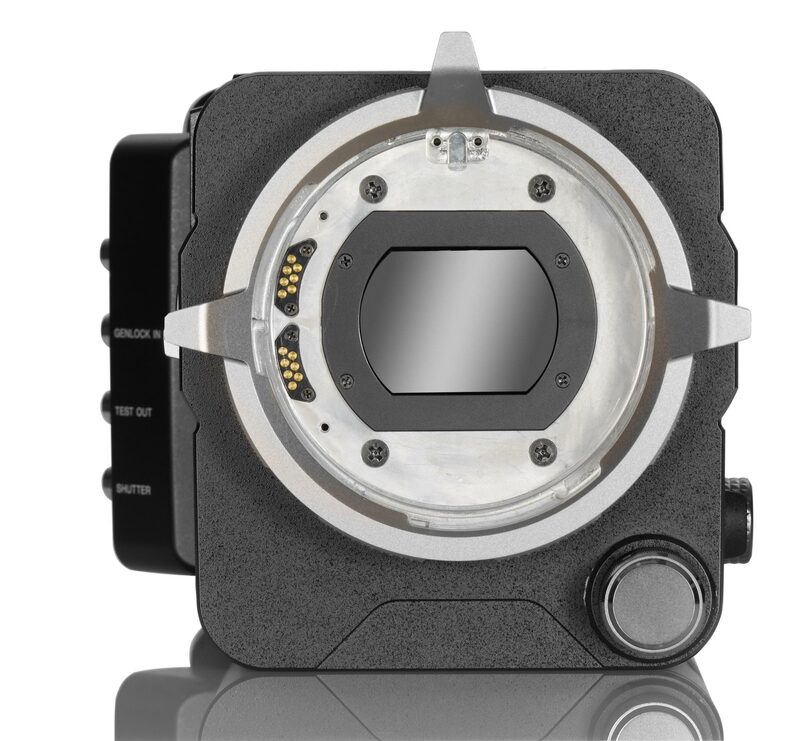 Every PMW-F3 camera shipped with a Sony F3 to PL mount adaptor, and companies like MTF, Denz, 16×9 Inc, and others. Like the IBC sign said, it was a 35mm world, not just a PL mount camera world. But there was one thing about the F3 that had many of us whining. The eyepiece was stuck at the rear, and you couldn’t rest the camera on your shoulder. I’m sure the lights have been burning late in Atsugi, Sony’s professional design facility. The F55 and F5 are said to have been in the planning stages for 2 years. Which means that Sony engineers were interviewing DPS, ACs, DITs, Colorists, Editors, Post and Rental House Personnel immediately after the F3 launched. No wonder there’s a well-attended Starbucks on the ground floor in Atsugi. F5 records HD and 2K internally onto SxS cards. It cannot record internal 4K. F5 does HD, 2K and 2K RAW to 120 fps, and HD to 180 fps. And, of course, both the F55 and F5 record 4K (and 2K) RAW onto the new AXS Memory Card in the modular onboard AXS-R5 recorder. The cameras give you the choice of recording in 4K, 2K or HD. Sony also seems to have headed off any “Why didn’t you” comments with a head-spinning alphabet soup of choices, codecs and compressions. See their website for the full list. Shoot, Record, Master and Distribute in 4K. Why 4K? There are more than 13,000 theaters with Sony Digital Cinema 4K projectors, and a lot more screens with 4K projectors from the other major brands. Sony’s new 84” 4K TV is on display in Sony stores. The new LG 84” 4K TV went on sale a couple of days ago. JVC showed 4K home projectors recently. At PhotoPlus this past weekend, and Photokina last month, we saw 4K computer monitors from EIZO, Fujifilm, Canon, and 4K production monitors from Sony and Dolby. Sony is introducing a new 30″ PVM-X300 LCD 4K field monitor. Shoot, Record and Master in 4K. Distribute in HD or 2K. Future-proof your original as a 4K archival master for future 4K release. Meanwhile, edit, post, and distribute in HD or 2K. Shoot in 4K. Record, Master and Distribute in 2K/HD. And so on. 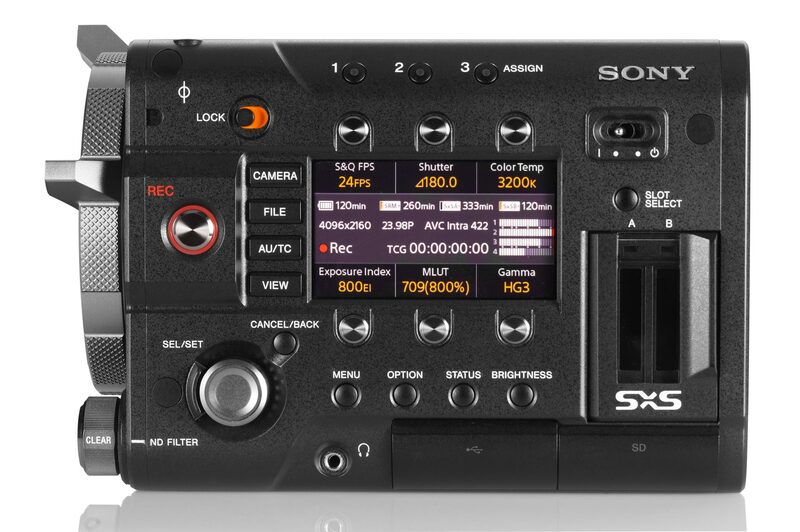 For RAW recording, Sony’s optional, modular AXS-R5 recorder snaps on behind the camera body. 4K or 2K RAW. Record RAW in native 4K or “derived” 2K. RAW recording is like having a digital negative with greater possibilities for color and contrast correction. The cameras record 16-bit. The F55 uses the same color filter array and bit depth technology used in the 16-bit linear recording F65 camera. 16-bit (216) color depth is 65,536 shades each of Red, Green, and Blue. That’s 16 times as many Red, Green and Blue gradations as 12-bit RAW and 64 times more than 10-bit recording. F55/F5 is compatible with the Academy Color Encoding System (ACES) specifications. Compression of 16-bit 4K and 2K RAW is about 1/3.6. AXSM Memory Cards. 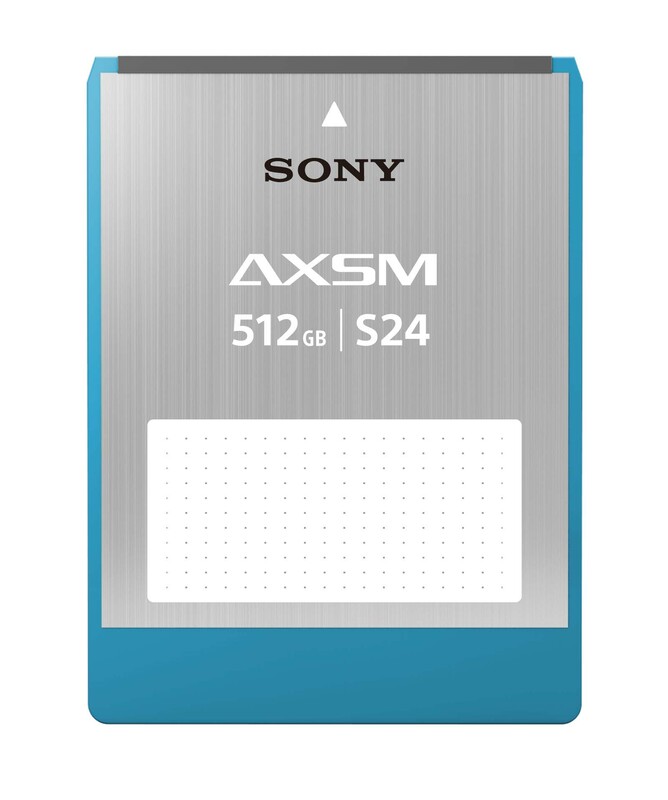 The onboard AXS-R5 records onto internal AXSM memory cards at various data rates (e.g. 1.0 Gbps for 4K RAW at 24 fps, 2.4 Gbps at 60 fps.) The cards are the same width as F65 SRMemory Cards (60 x 105 x 9.4 mm), but shorter (60 x 81 x 9.4 mm.) They will initially come in 256 GB and 512 GB capacities. exFAT. The Memory Cards are formatted in exFAT, which works on Mac or PC. AXSM Memory Cards can be read by the AXS-CR1, an affordable USB 3.0 reader with 2 Gbps transfer speeds to the computer. 4K RAW transfers at 2x real time, so 60 minutes of material offloads in 30 minutes. This is faster than an SRMemory Card. RAW files can be viewed on your laptop or desktop using Sony’s free RAW Viewer software. The F55 sensor has an electronic global shutter. Rolling shutter “jello effects” (distortion causing vertical lines to tilt) are eliminated. The F5 does not have a global shutter. The F55 has a choice of 3 viewfinders. OLED: DVF-EL100. This 0.7-inch (diagonal) 1280 x 720 viewfinder offers high definition, and improved brightness, contrast and response. LCD: DVF-L350. This 3.5-inch (diagonal) 960 x 540 LCD viewfinder has higher resolution and 10 times the contrast of previous LCD models. The eyepiece flips up to reveal the 3.5-inch LCD screen. LCD monitor: DVF-L700. This compact 7-inch (diagonal) 1920 x 1080 LCD on-board monitor works with the camera’s 2K and 4K output modes, and provides pixel-for-pixel 1920 x 1080 viewing in HD. Baseplate and pad on David Leitner’s shoulder is a 3ality Technica rig for the F3. 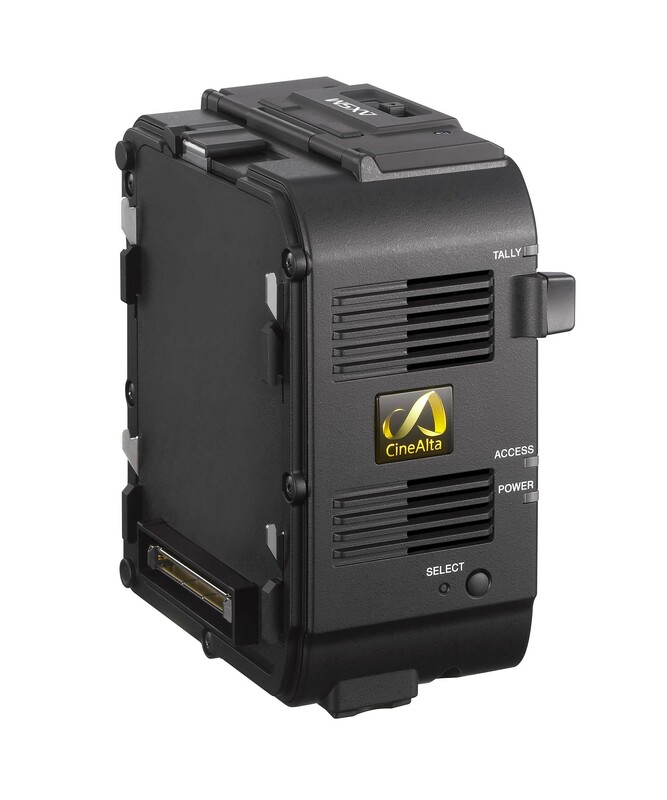 AbelCine provided this, as well as Fujinon and Angenieux zooms, Chrosziel mattebox, and Aaton handgrip. An optional Sony shoulder mount and pad attaches to the camera’s base. 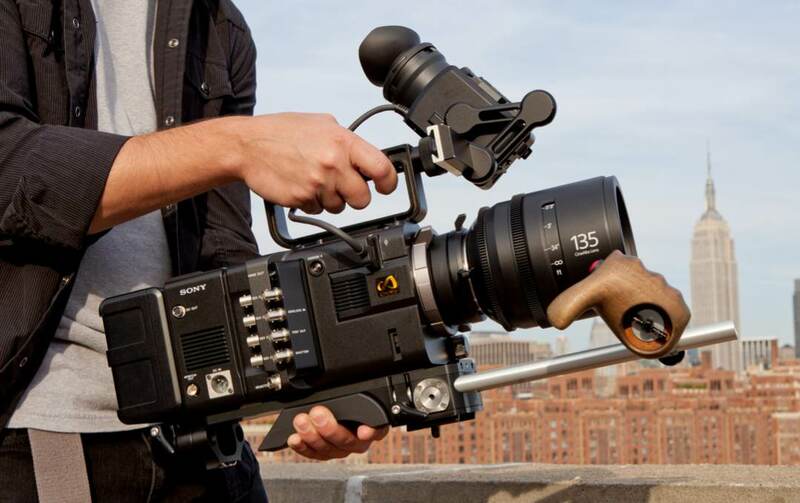 The one above is a 3ality Technica rig for the F3–but Sony will be supplying their own. (Not yet sure if it’s made in-house or by one of the usual suspects.) It will be lightweight and have industry-standard rosettes (hurray!) on both sides for quick and easy attachment of third-party handgrips and accessories. The F55 and F5 cameras are small, light and modular. The AXS-R5 RAW recorder snaps on between the body and on-board battery. The time code/genlock connections and XLR audio inputs come in two detachable modules. The camera body is only slightly wider than a typical PL mount prime lens. There are 3/8-16 and ¼-20 threads on the bottom and handle, and ¼-20 threads on the top of the camera. MPEG-2 HD. 4:2:2. 8-bit. 50 Mbps. Well-accepted standard for television production. XAVC HD (2K expected as a future upgrade). 4:2:2. 10-bit. 100 Mbps. This next generation of H.264/AVC Intra-frame coding proposes a cost-efficient system for High Frame Rate HD and 4K/60p production. SR Codec (future upgrade). 4:2:2, 4:4:4. 10-bit. 220, 440, 880 Mbps. The SR Codec (MPEG4 SStP) is widely used in production and post. Once the upgrade is ready, the F55 and F5 will record files in the same codec used on SR tape. XAVC 4K (QFHD with future upgrade) on F55, not F5. 4:2:2. 10-bit. 300 Mbps. If your view of 4K is that it can be a data challenge with large files and lots of storage, Sony proposes this version of H.264/AVC Intra-frame encoding with reasonably compact files. 180 fps with a planned upgrade (XAVC 2K/HD). There is no line skipping or sensor windowing. Therefore, there’s no crop factor, which magnifies the angle of view into a more telephoto effect. 240 fps 2K 16-bit RAW, with the AXS-R5 recorder and a planned upgrade. 120 fps with a planned upgrade (XAVC 2K/HD). 120 fps 2K RAW, with the AXS-R5 recorder and a planned upgrade. 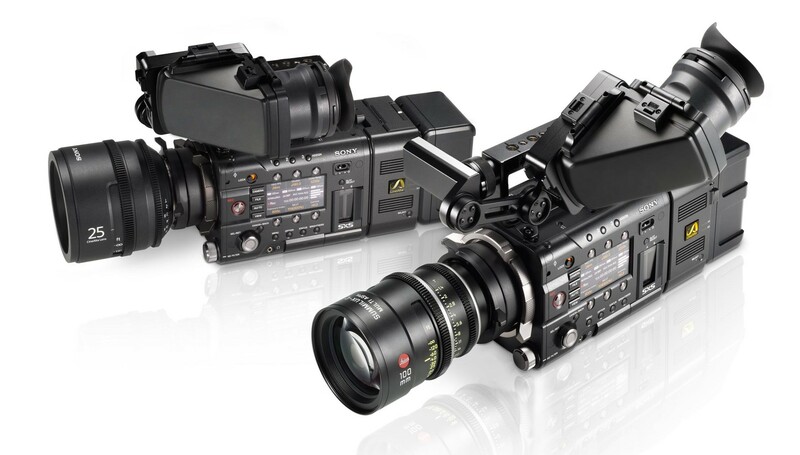 The F55 and F5 cameras are capable of high-data-rate on-board recording. This requires next-generation SxS recording media—Sony’s 64 and 128 GB SxS PRO+ memory cards—and a next-generation SxS USB card reader, the SBAC-US20. Like the F3, The F5 and F55 have an FZ mount. The flange focal depth is 18 mm, like Sony’s E-Mount. Physically, Sony’s FZ mount has a much large diameter than the E-mount. One of the first dedicated lenses for the FZ mount was Sony’s ENG-style 18-252 mm T3.8-6.8 SCL-Z18X140 FZ-mount auto-focus, auto-iris, image-stabilized servo zoom. The short flange focal distance is one of the things that helps shrink its variable overall length: 6.8″-8.6″ long. Sony introduces a second generation of inexpensive PL mount prime lenses, with improved mechanical design. Focal lengths are 20, 25, 35, 50, 85 and 135 mm, all T2.0. All have the same widest diameter of 118 mm, the same front diameter (114 mm), and geared barrel locations. All are 120 mm long, except the 135 mm, which is 145 mm long. They each have a 9-bladed iris, The focus ring rotates 240°. The new menu and control interface is refreshingly intuitive (hurray). Gone is the dreaded Sony menu diving. The F55 and F5 have direct, one-touch buttons for frame rate, shutter speed, color temperature, ISO and gamma. Soft keys above and below the display are context sensitive for direct access to key parameters. Assignable buttons give you direct access to favorite adjustments. 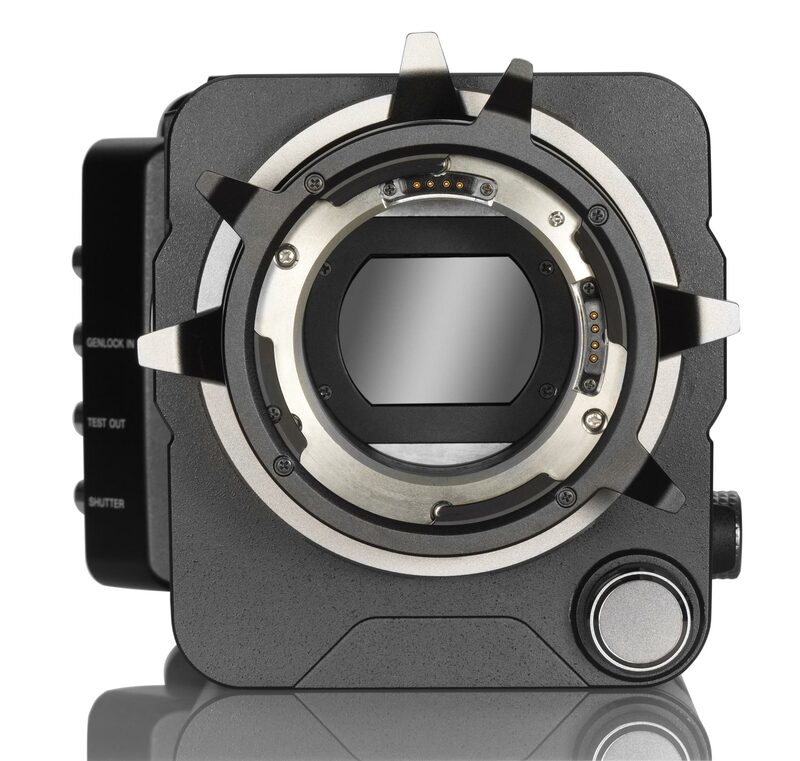 The F55 camera has 4K output, up to 60p, via four 3G-SDI BNC connectors for real-time viewing on a compatible monitor. The HDMI connector provides HD, 2K and 4K output. 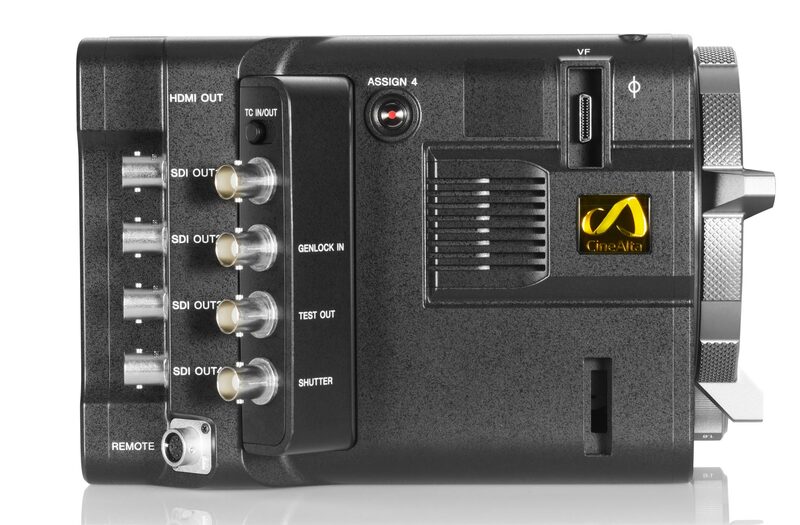 The F5 has four HD-SDI outputs (not 4K) and the HDMI is for HD and 2K only. 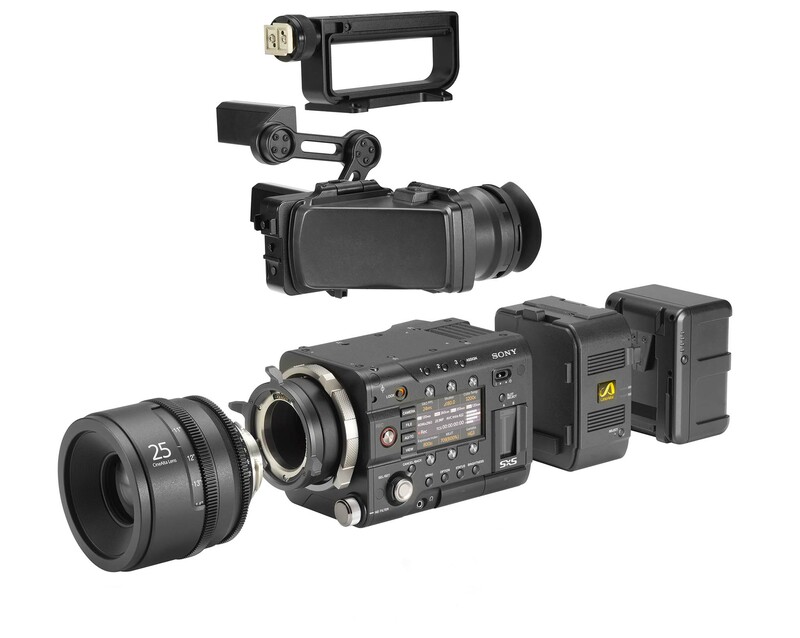 Both cameras have connectors for USB, DC-in, a removable XLR audio module and a removable timecode/genlock module. The XLR inputs take balanced analog audio, provide 48-Volt phantom power and will accept four channels of AES/EBU digital audio with an expected firmware upgrade. The F55 takes advantage of Sony’s BP-FL75 battery pack, which uses Olivine—Lithium Iron Phosphate—instead of conventional Lithium Ion cathodes. The result is a substantial increase in charge-discharge cycles compared to previous Sony batteries. The Olivine battery works with Sony’s BC-L90 quick charger. The camera is also compatible with Sony’s V-Mount BP-GL95A, GL65A, L80S and L60S batteries, which use the BC-L70 and L160 chargers. Sounds like a great camera, and it seems they have learned from their mistakes with the new and improved optics. Any pics available of the audio module mounted showing XLR input configuration? Pictures and details of Audio Module coming soon. attaches to camera right side, below the CineAlta logo. 2x XLR connectors. 2 channel analog or AES 4 CH. I saw this photo of the XLR inputs. Was confused because it shows them to be screwed into the body, yet no other photos so screw holes in that area?! is there audio input ? No news on this clip-on audio module? Will it take regular v-lock batteries or only proprietary Sony batteries? I assume when the recording module isn’t there, the battery clips straight to the back? Yes, should take V-lock — directly to back. Pricing on the F5 and F55 and the external recorder? 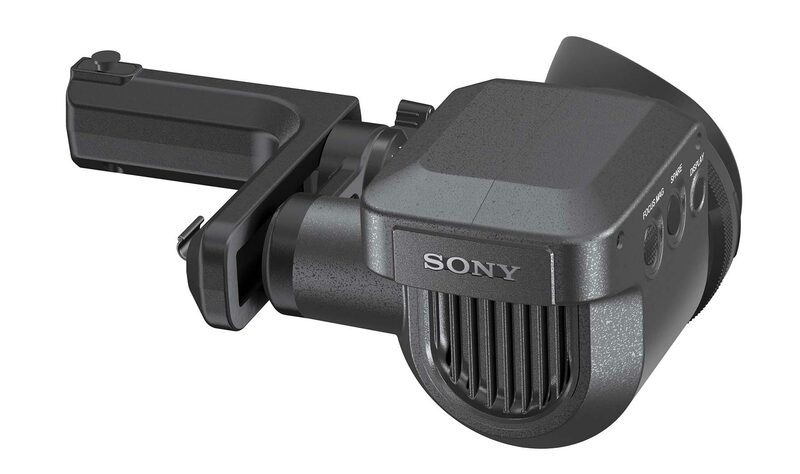 Are those new “after market” FZ adapters being put out by Sony? Really looking to have one of those FZ to EOS EF mount adapters for my F3. If so, any news when they’ll come out? Can you get to the bottom of who is making the lenses? Lots of speculation running around the interwebs that it is Cooke, and I’m really doubting it. Any confirmation on this? Thanks! Will I be able to use my B4 mount Eng lenses on the F5? Have seen two mentions of this…would make this a slam dunk decision for me…hate to lose this expensive glass. Michael: Yes–with some B4-to-FZ optical-mechanical adapters coming soon. IB/E Optics AbelCine HDx35 — currently available — works on the F5 and F55 to adapt your B4 lenses to cover the full S35mm frame. Any ideas on the pricing? In one of the handheld pics you say “An optional technica-looking Sony shoulder mount and pad attaches to the camera’s base.” But earlier you said it was a 3ality base provided by Abel Cine. I assume the actual production Sony riser/pad is not pictured here at all…and the one we do see here is aftermarket and not Sony equipment…? John–Good catch. You and Mitch Gross were the first to correct this. Article body text has been updated. The actual production Sony riser/pad is not pictured in this article. The one shown is a 3ality Technica F3 rig. Thanks. So what about pricing? for each Camera and all the necessary attachments and the Sony lens group? You list 2Gbits/s transfer speed for AXSM Memory in Sony USB 3.0 card reader. Is that the card reader limiting the transfer speed or is it the speed of the AXSM Memory card? Does Sony have faster memory and/or readers planned? My understanding now is that AXS Memory is for RAW recording, so I’ll probably have a dedicated downloader when I’m using that technology. So read speed is less of an issue. Although having something faster than 2Gbits/s (250Mbytes/s) offload speed wouldn’t hurt! SxS cards are solid for now, but EOL as a computer standard so they won’t get much faster. OK for HD, but a bottleneck for 4K. Is data dump (download) done on the clock or off while filling out timecard? Seriously–you raise the very good point how faster data transfer speeds are important. I look forward to the day when data cards are treated like original camera negative–or even master tape–to be archived and not rewritten. Yes, I was looking forward to that moment in time too, when I could finally eject the flash card and hand it to the runner like a video tape or a can of film. But given how workflows and camera designs are evolving I’m thinking that might be never for many types of shoots. A camera system is now essentially camera + computer, and I expect it to remain that way. And if they interact slowly, then it’s simply a slow tool, so I’ll go get a faster tool. 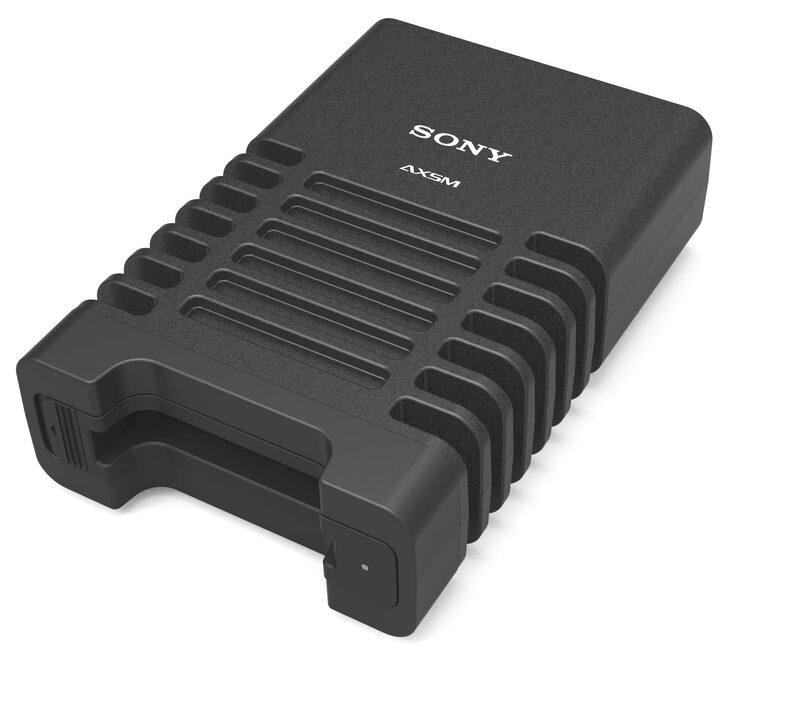 Would be great to see a Thunderbolt SxS and AXSM reader from Sony. In fact, I’m VERY surprised there isn’t one. Just wondering about the Fujinon Cabrio, does the Cabrio have a power plug like most ENG/EFP lenses, if so, where on the camera does it plug in? Or, does it draw power from the mount? While I haven’t used the Fujinon 19-90 yet, my colleagues who have used it on the Sony F3 are saying that it’s powered through the mount, no cables needed. I would presume it’s the same on the F5/55. The Fujinon PL 19-90 Cabrio does not have a 12 pin pendent cable like ENG lenses. The Cabrio can be powered through a cable plugged into the 20 pin on the lens servo, or through the pins located on the lens mount. Of course powering through the mount is dependent on the camera model. The servo on the Cabrio is capable of supplying regulated 12 volt power for accessories. The F3, F5 and F55 PL-mount adapters have “hot-shoe” contacts for both Cooke/i and Arri LDS lenses. Furthermore, these CineAlta cameras support the extended Cooke/i protocol, which enables very sophisticated interoperability with compatible lenses. Not only does the extended Cooke/i protocol transfer real-time lens metadata which is embedded within the digital recording at the frame rate, it also includes commands such as record START/STOP. The Cabrio works great with the F3, F5 and F55 via “hot-shoe” contacts in the mount; a cable connection is not required. Select lens protocol “C” in the camera menu when using Fuji Film branded lenses. Fujinon Cabrio lenses switch with a dip-switch in the drive unit from Cooke /i to ARRI LDS. Lens is powered by the 4-pin contacts in the F5/55 PL lens mount. Cabrio supplies /i and LDS lens Metadata to camera. 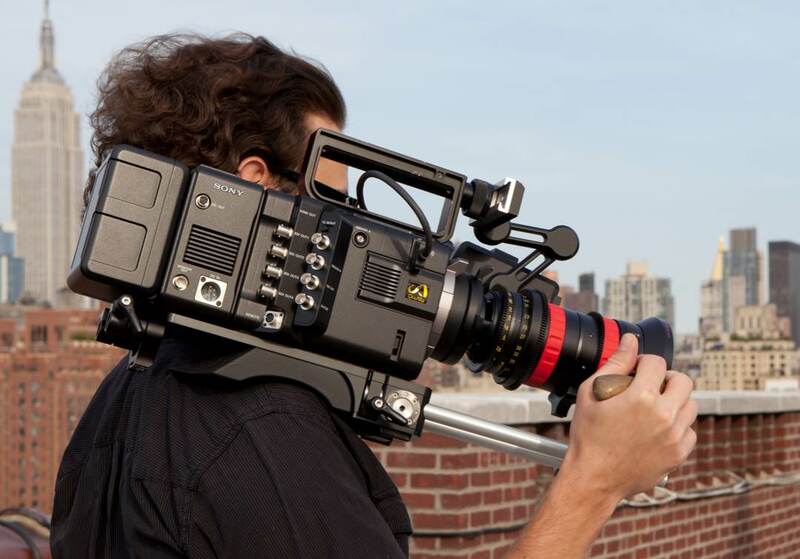 The image of the F55 with the matte box and follow focus appearing under the subhead “common to both cameras” has the Sony minimalistic docco style shoulder pad. Other pictures with the Fujinon Cabrio and Angineux zooms are with the 3ality Techinica F3 shoulder mount. Due to mechanical interferrence I had to shim the F3 rig about three mm to get the F55 on it. It’s my understanding that 3ality is working on a shim kit or new rig as required. This looks like a comprehensive and well thought out launch. Any idea when Sony is going to announce the pricing? How good are the lenses? Will the same run stop cable work with the F5, F55 and F65? Basically will one run stop cable work with the whole F line. The same 12p to 20p cable will work for the F5, F55, and F65, assuming you have the new Sony camera back fitted to the F5 and/or F55. 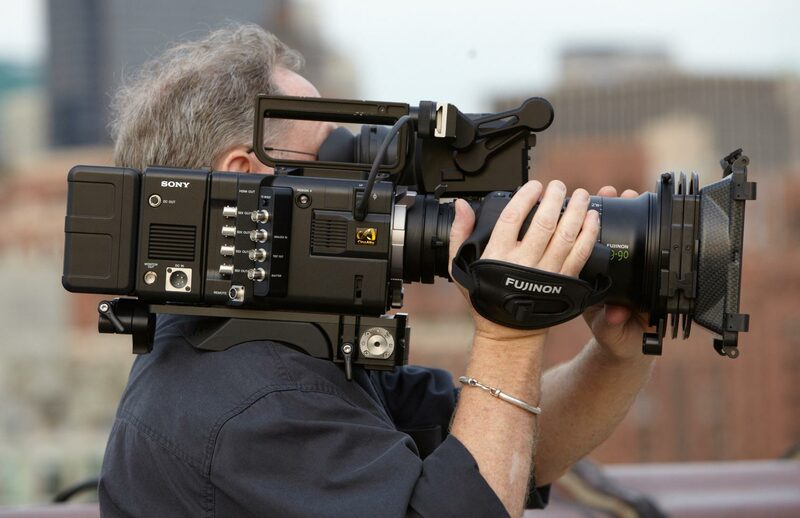 Unlike the F65, the F5 & F55 do not have a 12p lens connector on the main camera body. Sony is currently developing a back for those cameras that does have this connector. The F5 and F55 do have the lens mount pins. When new Sony software is developed, you will be able to Record and Stop without the need of any cables for these two models. As a camera rental company, the technology advancement has not make it easier. Every camera maker is introducing something and marketing it as better each time. Thanks to you guys we can access to information much faster and hence make decisions with a better understanding of what it can and cannot do. 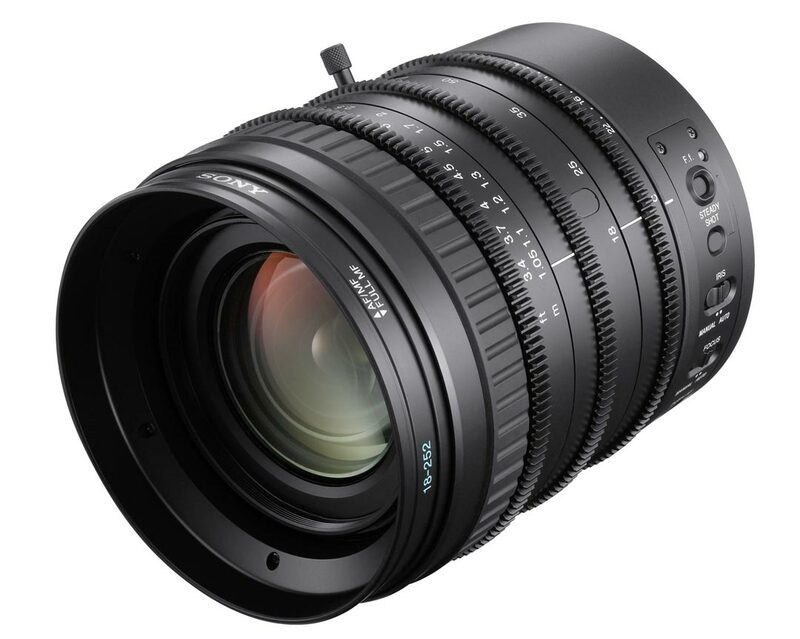 Thinking of the Fujinon Cabrio with the Sony F5….